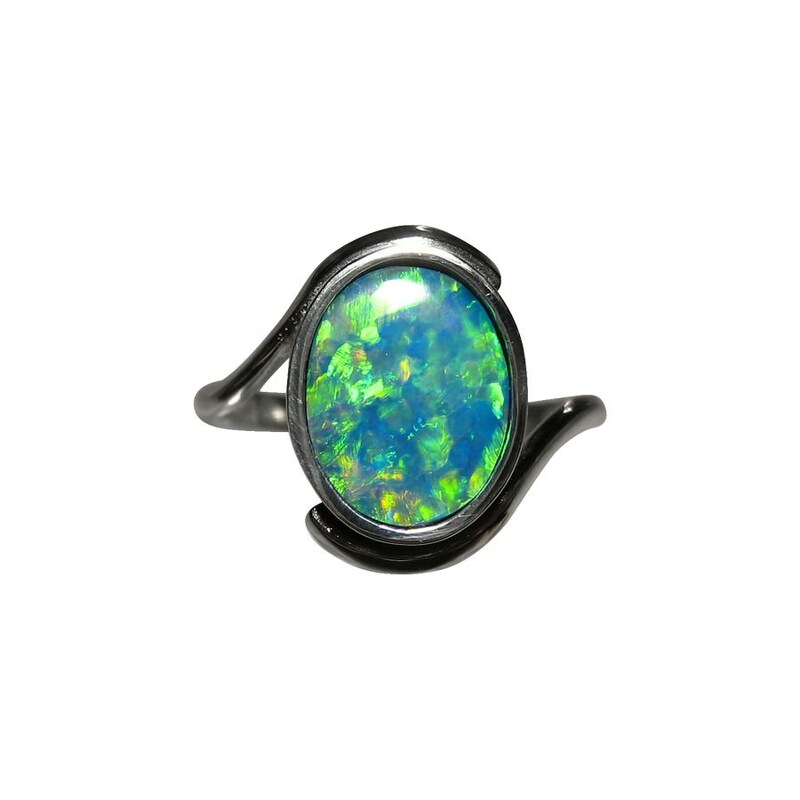 Gem quality 14k Gold Opal ring for women with an oval Opal flashing brilliant Green and a little Gold. In stock and ready to ship. 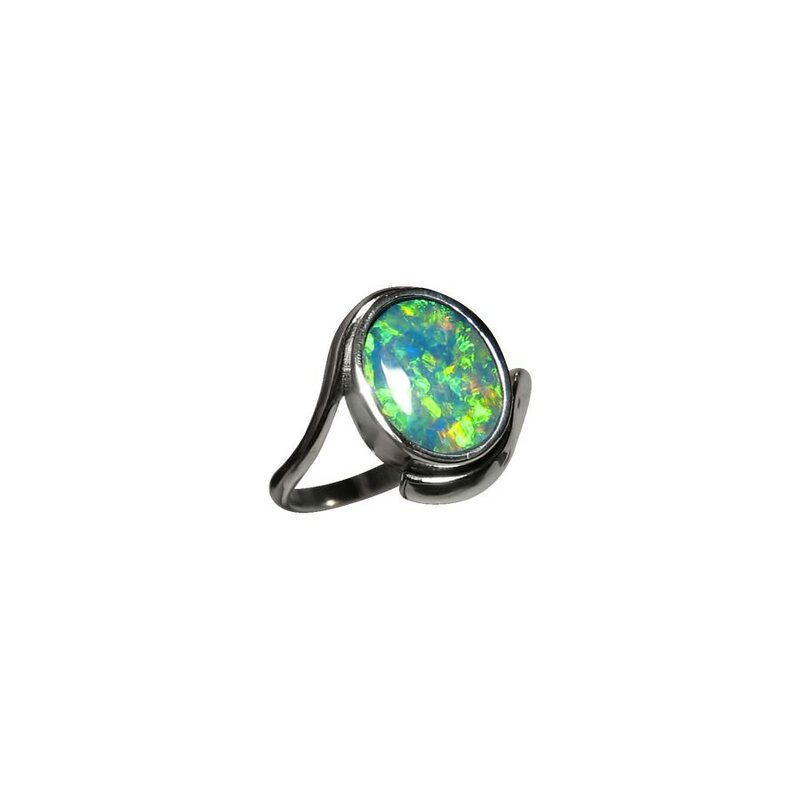 A very bright Opal ring for women shown in 14k White Gold which accentuates the patches of Green in the Opal. A simple solitaire design with the band curving around the top of the setting however as this is a gem Opal with its brightness and play of color, this ring will be seen when worn. Watch the video below to see the lively play of color and high shine of the Gold that the images do not show. You may see minor blemishes and dark areas in the images, but these are not visible to the naked eye. 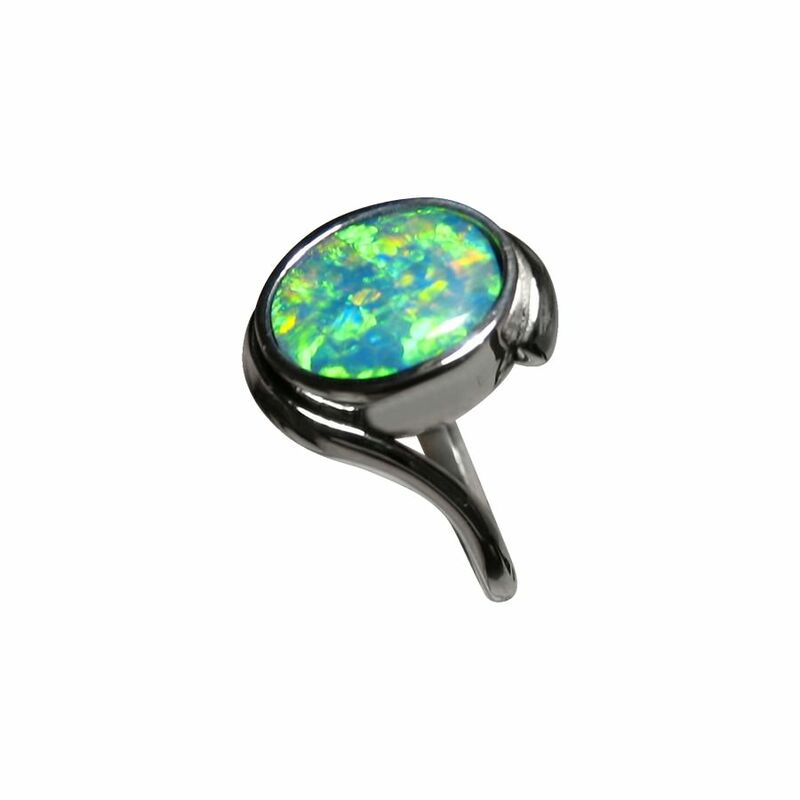 Once the Opal is inlaid in the ring, it will be finished with a buff and polish and will have a quality finish. The gold weight of the ring is just over 4 grams and the setting measures 15.5 mm so a substantial weight and size. 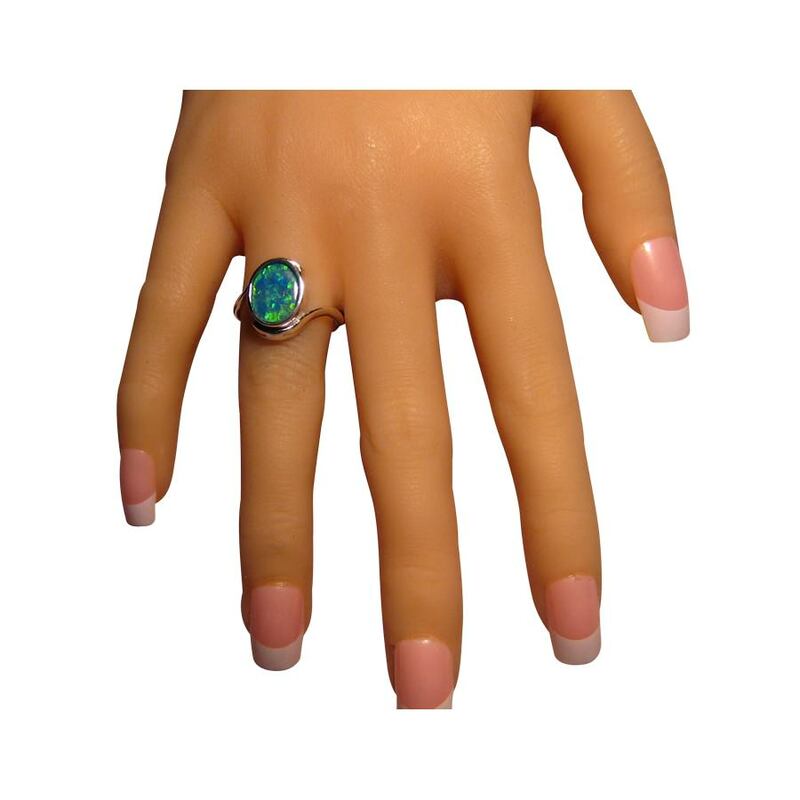 It is ready to ship in a size 7.25 however as the Opal is not yet secured, the ring can be made in any other ring size or in Yellow or Rose Gold which will take about 7 days to make before this exact stone is inlaid and the ring is shipped.